Obama’s Chickens Coming Home To Roost . . .
. . . 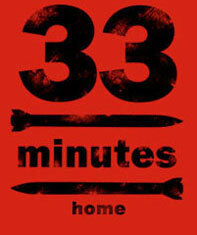 Ticking time bombs from Syria to North Korea. by Daniel Greenfield: Democrats inherit the foreign policy crises of a thousand Republican presidential fathers, but the foreign policy crises inherited by incoming Republicans in the White House are always orphans. Tags: Daniel Greenfield, FrontPage Mag, President Obama, Chickens Coming Home To Roost, Ticking time bombs, Syria, North Korea To share or post to your site, click on "Post Link". Please mention / link to the ARRA News Service and "Like" Facebook Page - Thanks! by Newt Gingrich: Republicans are struggling with the repeal and replacement of Obamacare. In our immediate network of family and friends, Callista and I know an older woman with a history of breast cancer who has had both hips replaced, a middle-aged woman taking anti-rejection medicine for a recent liver transplant, a young woman (30) diagnosed with breast cancer, a dear friend suffering from a rare disease in which his red blood cells no longer carry oxygen, and the list goes on. In every case, the individuals and their family and friends will ask: How does this health care bill affect me? Will I be better or worse off? Their natural bias is against change, because they have adjusted to the current system and know how they are getting care today. I am not arguing against repealing and replacing Obamacare. It is a failing system that will ultimately cripple the country and leave millions without insurance coverage. I am suggesting that its replacement must be carefully thought out. Every House and Senate Republican who deals with this issue, along with the leaders in the Executive Branch, will be asked a lot more questions about this bill than they would about other legislation. They must be able to answer those questions. Health care is almost one-fifth of the national economy. That means nearly one dollar out of every five in the entire system is affected by health reform. Everyone who gets money from health care, and everyone who pays money for health care, has a direct, immediate personal interest in how their lives will be affected. Speaker Paul Ryan was exactly right shortly after the House Republicans had to pull the health bill from the floor when he said, “What you’re seeing is we’re going through the inevitable growing pains from being an opposition party to becoming a governing party.” He noted then that 64 percent of House Republicans have never worked with a Republican in the White House and majorities in both houses of Congress. The same is true for President Trump and his White House team. No one on the team has ever shepherded a major reform through the Congress. But House Republicans and the president can – and will – learn quickly. We can achieve a dramatically better health system. We can pass very effective and ultimately very popular bills on health and health care. Over the next several newsletters, I am going to outline the principles of “becoming a governing party,” recognizing that it is a new system for the GOP team, and the principles of successful health reform. Principle No. 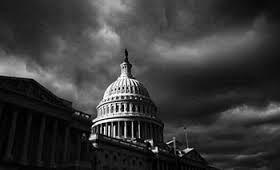 1: A governing majority system always pays attention to the wishes of the American people, because that is what makes it a majority. Minority parties develop the attitude that they are never going to be a majority anyway, so they might as well do what they want even if it infuriates the public. I fought with this mentality for 16 years in a House GOP that had been in the minority since 1954. Ironically, the very nature of President Reagan (who had been a Democrat for most of his life and automatically thought about governing rather than opposing) made the House Republicans work as part of a governing majority from 1981-1988. As a second term member when Reagan came into office, I imbibed the spirit of governing from him. It was reinforced by studying Prime Minister Thatcher, who thought of herself as the leader of the next government – not the leader of the opposition. My next newsletter will be about the health reform that the vast majority of Americans want. That is the starting point for a governing majority that wants to continue to govern. Tags: Newt Gingrich, commentary, Governing Majorities, Health Reform, Part One, To share or post to your site, click on "Post Link". Please mention / link to the ARRA News Service and "Like" Facebook Page - Thanks! by Bob Owens: A mentally ill or perhaps senile editorialist at the Missourian has made the bizarre assertion that the oldest civil rights organization in the United States is more dangerous than the fanatical Islamic terrorist group that throws gays from the rooftops, burns captured enemies alive, gang-rapes women and children for their own amusement, and chops off the head of anyone who disagrees with their barbaric views.Which organization is more dangerous to Americans — ISIS or the NRA? As you know, ISIS is the acronym for The Islamic State of Iraq and Syria. It is a terrorist organization founded in 1999, headquartered in Syria and feared around the world. The NRA is the acronym for the National Rifle Association, founded in 1891, headquartered in Fairfax, Virginia, and feared by politicians across America. What makes the NRA so feared is its willingness to spend heavily and campaign aggressively in pursuit of its goal of removing all restrictions on the possession and use of firearms just about anywhere by just about anyone.I guess we shouldn’t be too surprised that a radical journalist would stoop to downplaying the savagery of one of the most despicable terrorist organizations today as he simultaneously and dishonestly attacks the five million men and women of the National Rifle Association for having the temerity to exercise their First Amendment rights in order to defend the Second Amendment and the Constitution itself. Intellectually lazy and morally bankrupt, Kennedy completely misstates the views of the NRA (which was founded in 1871, by the way, not 1891 as he ignorantly claims) in order to beat up a strawman of his own design. The NRA has never advocated for the removal of “all restrictions on the possession and use of firearms just about anywhere by just about anyone.” The NRA instead works with legislators in all 50 states and on the national level to ensure that law-abiding citizens are able to exercise their rights as the Founding Fathers intended. And maybe that’s Mr. Kennedy’s actual problem. Tags: Journalist, Compares, NRA, Terror Group, anti-gun, hysteria, liberal, media bias, Bob Owens, BearingArms.com To share or post to your site, click on "Post Link". Please mention / link to the ARRA News Service and "Like" Facebook Page - Thanks! by Gary Bauer, Contributing Author: Don't Dismiss Dr. Dean - Former Vermont Governor Dr. Howard Dean has weighed in on the Ann Coulter/Berkeley controversy. He tweeted, "Hate speech is not protected by the first amendment." When leftists like Howard Dean say hate speech is not protected by the First Amendment then the first question we should ask is, "What does Howard think is hate speech?" We just went through an entire election cycle in which the left told us every day what hate speech was. According to the left, hate speech is saying that marriage is between a man and a woman. According to the left, hate speech is saying that terrorist acts are being committed by radical Islamists. Just like hate crimes, hate speech is a one-way street. Hate speech is any speech that offends the left. Little Howard Dean wannabes on university campuses say it is hate speech if you cite research proving that most police officers really are good guys. And of course, flying the Confederate flag is hate speech. But burning an American flag is not. A mural featuring a decapitated Donald Trump is free expression. Saying the NRA is more dangerous than ISIS is free speech. But it is hate speech to say we should limit immigration from nations that have large radical Islamic populations. It is not hate speech to say that the flag of Islam will fly over the White House. My point is simply this: Increasingly the left, including the left-wing media, define mainstream conservative ideas as hate speech. So don't dismiss the Howard Deans of the world when they tell you that hate speech isn't protected by the First Amendment. They mean it and they mean to shut you up. One of the reasons the country is so on edge is that at least half of America understands that the other side wants to make it impossible to defend our values. Instead they will try to convince themselves and us that Cheurfi was "a lone wolf" who had just broken up with his girlfriend or who didn't get a promotion at work or who just didn't like French food. Whatever "triggered" him, it had absolutely nothing to do with Islam, which we all know is a religion of peace. Well, once again we quickly learned that this lone wolf was in fact a known wolf. How known? Cheurfi was pulled in for questioning two months ago for . . . threatening to kill police. Sadly, it gets worse. He had been sentenced to 20 years in prison for . . . attempting to kill police. But he was out on early release. Just like our elites, French elites says that criticism of Islam is hate speech. Obviously French authorities should be more concerned about those publicly saying they want to kill police officers. But for the elites of Europe, just like the politically correct elites here, threatening to murder the men and women of law enforcement has no legal consequences. It is just another occupational hazard those on the thin blue line are expected to deal with. Clueless Media - Left-wing journalists were having a meltdown yesterday afternoon because President Trump said the Paris shooting "looks like another terrorist attack." He didn't even say "Islamic terrorist attack." But many talking heads were in a frenzy that he would prejudge the situation. Apparently shooting three police officers blocks from the Eiffel Tower on the eve of the French election, when authorities had just broken up one plot, is not enough evidence for someone to suggest that it "looks like" another terror attack. Listening to these commentators yesterday, I did my own rush to judgment: "Looks like another clueless media maven to me." Kudos To Australia - Loyal readers of this daily report know that I have been suggesting for quite some time that we should be asking some pointed questions about values to prospective immigrants and refugees. Well, I am pleased to report that our Australian allies have done it. Prime Minister Malcolm Turnbull yesterday defended the new values focus, saying, "We don't define ourselves . . . by race or religion or ethnicity. We're defined by a commitment to a common set of political values -- freedom, equality of men and women, mutual respect, the rule of law, democracy." Turnbull added, "We're proud of them, we're committed to them, we should celebrate them, and we should put them at the core of becoming an Australian citizen." I trust the Trump Administration officials in charge of the new "extreme vetting" program are taking notes! CUFI Washington Summit - Join me in our nation's capital on July 17th and 18th for the Christians United for Israel Washington Summit. And many others.There will be a Night to Honor Israel celebration, and Israeli Prime Minister Benjamin Netanyahu is scheduled to address the Summit via satellite. Register now to lock in reduced rates! I look forward to seeing you there! Just In. . . The Associated Press is reporting that President Trump will unveil his tax reform plan next week. The president says his plan will reduce both individual and corporate taxes, and be "bigger I believe than any tax cut ever." Tags: Don't Dismiss, Howard Dean, Another Known Wolf, Kudos, Australia, CUFI Summit, Gary Bauer, Campaign for Working Families To share or post to your site, click on "Post Link". Please mention / link to the ARRA News Service and "Like" Facebook Page - Thanks! Build That Wall, Mr. Speaker! by Natalia Castro: Whenever President Donald Trump brought up immigration on the campaign trail in 2016, his own voice was often drowned out by supporters shouting, “build the wall, build the wall!” Trump’s favorite social media platform, Twitter, has even been trending #buildthewall since before he was even elected as President. A simple policy slogan united the American people around Trump last year, but now it is Congress that must unite to make this dream a reality — or the midterms could mean the end of Republican control. After the election, House Speaker Paul Ryan rallied behind President Trump’s position on constructing a strong border wall, but now he seems to be back tracking, as if he is surprised about opposition. This is different than seemingly all of Ryan’s past positions, which have led Americans to believe the wall is moving forward. Based on this alone we would assume legislation to promote the wall would come immediately, as Ryan said it is simply building the infrastructure to enforce our current, most basic laws. Mulvaney has been confirmed since Feb. 16, 2017; with a supplemental request proposed on March 14 and formally sent to Ryan on March 16. Yet no action has been taken. Just two days before Ryan changed his position, Democrats made their threats and Republicans have apparently changed their planss. But Ryan cannot pretend that in September, Democrats will not try the same thing. Backing down now would not bode well for getting the wall built. First of all, Democrats don’t agree with the wall today and certainly will not in September. If Chuck Schumer wants to bring the government to a partial shutdown to prevent the wall from being added to the budget — that is exactly what he is going to do, this year or next. Republicans cannot wait to see how Schumer is going to react, they promised the American people the wall and need to deliver quickly. 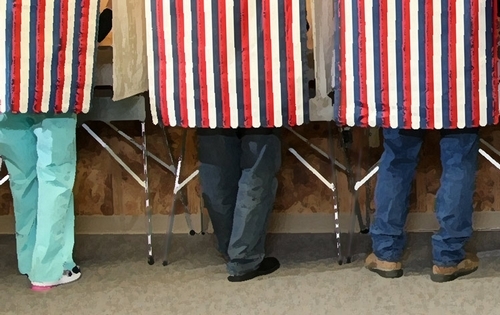 Historically, maintaining a majority during the midterms is an extremely difficult task. Dating back to 1906, White House incumbent parties lose seat in the House of Representatives 89 percent of the time, with losses averaging about 35 seats. Only three times in modern history have incumbent parties actually been able to gain seats in the midterms, 1934, 1998 and 2002. Ryan cannot act like the House has leeway to delay President Trump’s promises, Republicans only need to lose 21 seats over the next two years including upcoming special elections, to lose control of the House altogether. And these special elections have already been shaky, with many calling the Georgia and Kansas special elections a “wake up call” since Republicans are just barely holding onto the seats they won handedly in the 2016 general. Immigration is the standout issue that made Trump what he is today, and “build the wall” is the policy position that made it all happen. So far, Trump appears to be sticking to his guns, with Politico reporting on April 19 that funding for the wall is among the priorities the administration is asking for in the April 28 continuing resolution. The GOP Congress needs to prove that they hear the American people, and follow through with the winning agenda Trump has set out. If they fail the build the wall, Trump may be unable to carry them through midterms. Tags: Build that Wall, Speaker Ryan, Natalia Castro, Americans for Limited Government To share or post to your site, click on "Post Link". Please mention / link to the ARRA News Service and "Like" Facebook Page - Thanks! 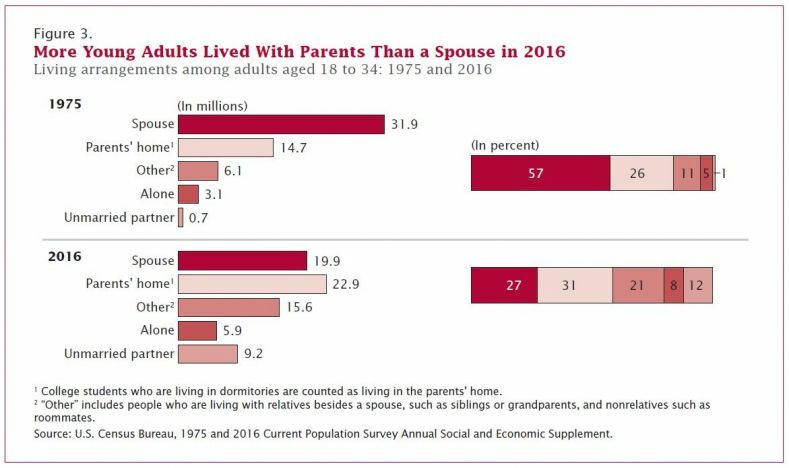 by Terence Jeffrey: Four decades ago, in the mid-1970s, young American adults--in the 18-to-34 age bracket--were far more likely to be married and living with a spouse than living in their parents’ home. The Number 1 living arrangement today for Americans in the 18-to-34 age bracket, according to the Census Bureau, is to reside without a spouse in their parents’ home. That is where you can now find 22.9 million 18-to-34 year olds—compared to the 19.9 million who are married and live with their spouse. Back then, this was the most common living arrangement for that age bracket. In 1975, when calculated as percentages according to the Census numbers, 57 percent of 18-to-34 year olds lived with a spouse, 26 percent lived in their parents’ home, 11 percent lived in an “other” arrangement, 5 percent lived alone, and 1 percent lived with an unmarried partner. The rise in young adults living at home coincided with a decline in the economic status of young men. With the exceptions of Washington and Oregon, the ten states with the lowest percentages of 18-to-34 year olds living with their parents were concentrated in the Midwest and Mountain states. Tags: Terence Jeffrey, CNS News, U.S. Census, More Americans, 18-to-34, Live With Parents, Than With Spouse To share or post to your site, click on "Post Link". Please mention / link to the ARRA News Service and "Like" Facebook Page - Thanks! This dismissal of democracy, cited by historian H. W. Brands in “The General vs. the President: MacArthur and Truman at the Brink of Nuclear War,” is attributed to that great populist Secretary of State Dean Acheson. In Washington, our two-party system is in gridlock. Comity and collegiality are vanishing. Across Europe, centrist parties shrink as splinter parties arise and “illiberal democracies” take power. President Trump, seeing the way the world is going, welcomes to the White House Egypt’s President Abdel-Fattah al-Sissi, whose army dumped over the elected government and jailed thousands. In Sunday’s election in France, a Communist-backed admirer of Hugo Chavez, Jean-Luc Melenchon, and the National Front’s Marine Le Pen could emerge as the finalists on May 7. Democracy is increasingly seen as a means to an end, not an end in itself. If democracy doesn’t deliver, dispense with it. Democracy’s reputation also suffers from the corruption and incompetence of some of its celebrated champions. In Federalist No. 2, John Jay called us a “band of brethren” and “one united people” who shared the same ancestors, language, religion, principles, manners, customs. Tags: Patrick Buchanan, conservative, commentary, Democracy, Death Spiral To share or post to your site, click on "Post Link". Please mention / link to the ARRA News Service and "Like" Facebook Page - Thanks! Obama administration in its last few days in office. by Mike Gonzalez: There are only 10 days left to comment on one of the most important early challenges in the young Trump administration: proposals to further balkanize America through the 2020 census. This poison pill was left behind by the Obama administration in its last few days in office. On Sept. 30, an interagency group proposed to the Office of Management and Budget two changes that would create new ethnic cleavages and work to preserve existing ones. The Obama people just assumed that the Clinton administration would just rubber-stamp these changes. Then the Nov. 8 election happened. Now the Trump administration is asking Americans to comment on whether we really want to do this by commenting here. For conservatives who care about promoting a united country with a national purpose, and who want to put a stop to the reinterpretation of America as a nation of adversarial groups, the answer should be no. One proposal would mean that Americans and U.S. residents of Middle East and North African origin would now be reclassified as a single and unified minority group. Included in the proposed category would be Arab-Americans whose families have been here for generations, including such figures as actress Marlo Thomas; Rep. Darrell Issa, R-Calif.; and activist Ralph Nader. Arab-Americans are estimated to be majority Christian and have a higher median income than average Americans. They have been classified as white in the U.S. Census and other government documents for over a century. Also included are Iranian-Americans, many of whom are professionals who emigrated here around the fall of the Shah in 1979 and who have per capita average incomes estimated to be 50 percent higher than the nation. Added to this incongruous group are also Americans with origins in Morocco and Algeria, Kurds, and at one time even Israelis, though the OMB has desisted from that after protests.Middle East and North African excludes people who originate from Pakistan or Afghanistan. The second proposal would effectively mean that people of Latin American or Iberian origins would no longer be able to declare whether they are also black, white, or “some other race.” This change would practically make “Hispanic” their only racial identifier. It would so by collapsing what are now two separate questions—Are you Hispanic or not? What race are you?—into one: What is this person’s race or origin? Proponents say responders can always check more than one box. The reality is that given the way the questions are framed that is unlikely to happen. As a long study that the government released in February makes clear, the growing number of Americans of Spanish or Portuguese ancestry who are checking the “white” box—more than 29 million out of 56 million in the 2010 Ccnsus—would be nudged away from doing so. 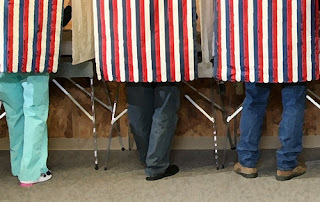 (3) dangling purported advantages such as congressional redistricting would further help perpetuate divisions within the country by giving people an incentive to identify themselves as a member of a subnational group and a disincentive to build inter-ethnic coalitions.Group identity politics is the lifeblood of the liberal project. As Michael Lind wrote in Politico a year ago, “If increasing numbers of Hispanics identify as white and their descendants are defined as ‘white’ in government statistics, there may be a white majority in the U.S. throughout the 21st century.” Many groups are also concerned that the number identifying as black Americans will also be reduced. TAKE ACTION: The comment period ends on April 30. 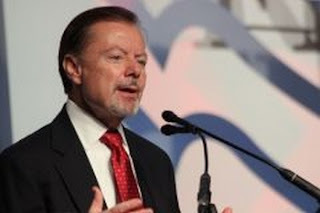 Mike Gonzalez (@Gundisalvus) is a senior fellow at The Heritage Foundation, is a widely experienced international correspondent, commentator and editor who has reported from Asia, Europe and Latin America. He served in the George W. Bush Administration first at the Securities and Exchange Commission and then at the State Department. Tags: Reverse, Obama Census Proposal, That Promotes, Group Identity Politics, Mike Gonzalez, Heritage Foundation To share or post to your site, click on "Post Link". Please mention / link to the ARRA News Service and "Like" Facebook Page - Thanks! Third Term Wishes . . . The Obama presidency allowed our enemies to grow stronger as America grew weaker. What could he have done with 4 more years? 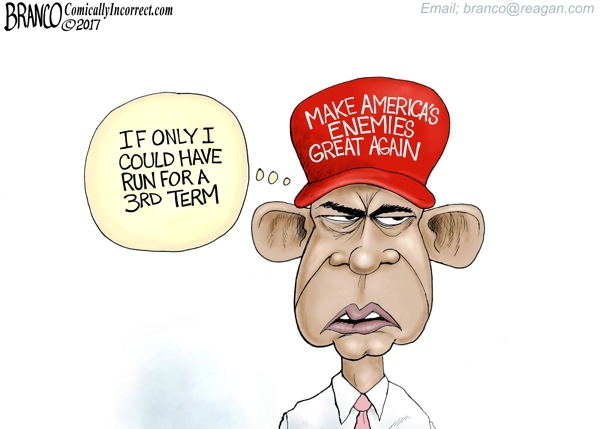 Tags: Editorial Cartoon, AF Branco, Obama presidency, enemies stronger, America, weaker, third term wishes To share or post to your site, click on "Post Link". Please mention / link to the ARRA News Service and "Like" Facebook Page - Thanks! 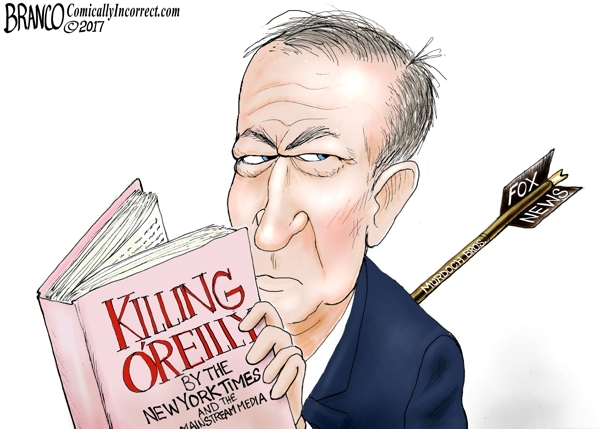 Killing O’Reilly . . . Killing O’Reilly was a joint effort by the leftist mob, the mainstream media, the Murdoch Brothers, and, yes, Bill himself. Tags: Editorial Cartoon, AF Branco lilling O'Reilly, joint effort, leftist mob, mainstream media, Murdoch Brothers, Bill himself To share or post to your site, click on "Post Link". Please mention / link to the ARRA News Service and "Like" Facebook Page - Thanks! Tags: Paul Jacob, Common Sense, Wag that Tail, Dog To share or post to your site, click on "Post Link". Please mention / link to the ARRA News Service and "Like" Facebook Page - Thanks! by Dr. Bill Smith: On April 19, 2017, at the Arkansas State University Mountain Home Performing Arts Center, Dr. Robin Myers, Chancellor of ASUMH, will introduce John Scalia, the son of Maureen and the late Justice Antonin Scalia, who will represent the Scalia family. Dr. Meyers will be announcing the dedication of the U.S. Supreme Court Associate Justice Antonin Scalia Criminal Justice Institute at ASUMH which is located in the North Central Ozarks (God's County). Myers said the university had planned on hosting a dedication ceremony for Scalia last year when Scalia was scheduled to return to Mountain Home to hunt and fish. However, Scalia died in his sleep at age 79 on the night of February 12, or the morning of February 13, 2016, following an afternoon of quail hunting and dining at Cibolo Creek Ranch in Shafter, Texas. This author and his wife attended the mentioned "packed event" at ASUMH to hear Justice Scalia comments and his responses to questions. Link to addition comments by or about Justice Scalia. I recommend the article by Former Ambassador Ken Blackwell. Hopefully, we can expect more universities to follow suit. 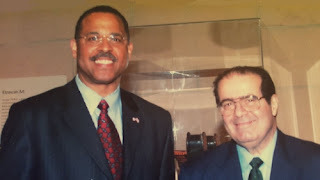 Dr. Walter Williams shared on May 17, 2016 that George Mason University School of Law has just been renamed the Antonin Scalia School of Law in honor of the late Supreme Court Justice Antonin Scalia. Dr. Bill Smith is editor of the ARRA News Service. Tags: Justice, Anonin Scalia, leaves mark, on the Ozarks To share or post to your site, click on "Post Link". Please mention / link to the ARRA News Service and "Like" Facebook Page - Thanks! The United States of America is a society completely dependent on electricity. Food production, transportation, and communications all depend on one thing, electricity. The Department of Homeland Security classifies sixteen different critical infrastructure sectors. No sector is more important than the energy sector. No other critical infrastructure sector, from health services to the chemical sector can operate without electricity. It is the critical piece of our critical infrastructure. If the President and Congress decide to spend any money on infrastructure, the U.S. power grid should be alone, at the top of the list. The U.S. power grid is comprised of three smaller grids. One grid powers the East Coast to the Rocky Mountains while another serves people from the Rockies to the Pacific. 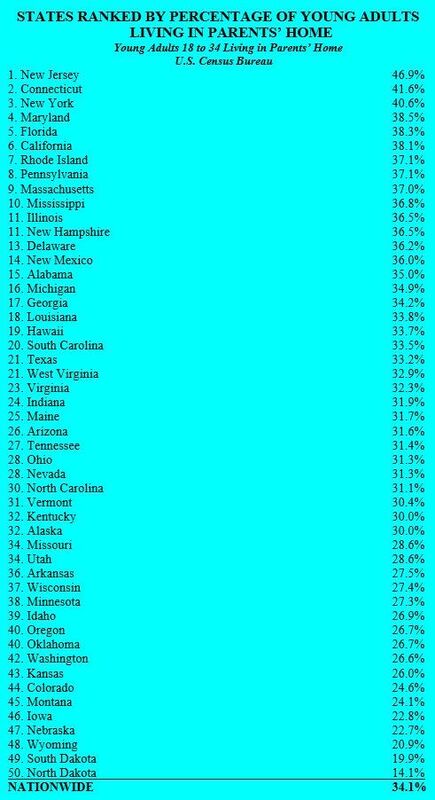 The last grid is the state of Texas. Each of these individual grids is comprised of a network of power producing facilities, tens of thousands of miles of transmission lines, and hundreds of substations, bringing power to your home and business. A key piece of the energy chain is the high-voltage transformer (HVT). HVTs “step-up“ and “step-down” voltage of newly generated electricity for transmission and distribution reasons. The voltage is increased or stepped-up to transmit over long distances and then is decreased or stepped-down to be distributed to homes. Without these HVTs, it would be nearly impossible to supply the US with electricity. These HVTs are peculiarly vulnerable to attacks from man and nature. These transformers weigh between one and four hundred tons and cost up to eight million dollars. The Department of Energy estimated it could take up to 20 months for the larger HVTs to be built. What would the US look like without power for 2 months, let alone 1 year? There four principle modes of attack that could destroy HVTs. These are an Electromagnetic Pulse (EMP), a Coronal Mass Ejection (CME), a cyber-attack, and a physical attack. A nuclear bomb detonated in the upper atmosphere might not even be noticed by people on the ground. Most Americans would look up and see a sky that resembles the Aurora Borealis. However, they would notice the effects immediately. Their world could come to a complete stop. Cars could lose power and drift to a stop. Planes in the air could lose power and begin a rapid powerless decent towards the earth. Trains could lose power and coast to a stop. Anything with a microchip could be dead. This includes HVTs. A large device detonated 400-500km above Kansas would affect all within the continental U.S.
200 million people could die in a year without water and electricity. A CME would have the same effect as an EMP, but on a global scale. A CME is an ejection of particles from the sun, also known as a solar flare. These happen quite often. The last major CME event to hit the Earth was in 1859. When it hit, there were reports of sparks shooting off telegraph wires in telegraph stations. A CME event today could shut down electronic devices worldwide. On April 16, 2013, an attack occurred in Metcalf, California substation. An unknown number of assailants shot hundreds of rounds at the HVTs in the substation. The damage caused the substations to shut down. The energy companies were able to reroute power and avoid a shutdown. To this day, nobody has been charged in the attack. Many within and outside the government have labeled this a dry run. Another lesser known attack occurred in Utah on September 25, 2016. An assailant fired several shots into the transformer’s radiator system. The shots caused the transformer to overheat and fail. The damage was estimated at $1 million and between 6 and 12 months to repair. Once again, power companies were able to divert power and prevent a cascading failure. A coordinated attack on several substations at the same time has the ability to create a rolling blackout that power companies cannot keep up with fast enough, and overload the system. From there, the system crashes. Small computers control every piece of the electric grid. These are Supervisory Control and Data Acquisition (SCADA) systems. SCADAs tell a substation how much voltage is coming in and going out. SCADAs tell HVTs when to shut down. By hacking these devices and infecting them with viruses, a hacker can force the SCADA systems to break the machines being monitored. The U.S. and Israel recently launched such an attack against the Iranian nuclear program. The virus was called Stuxnet. It was successful in destroying thousands of centrifuges. 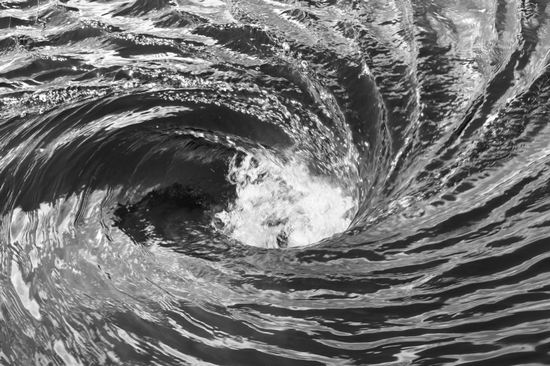 The cyber genie has been let out of the bottle, and the entire U.S. power grid is in danger. It is time to take the security of the electrical grid serious. The principal reason for the existence of government is security. People come together to form groups for security. 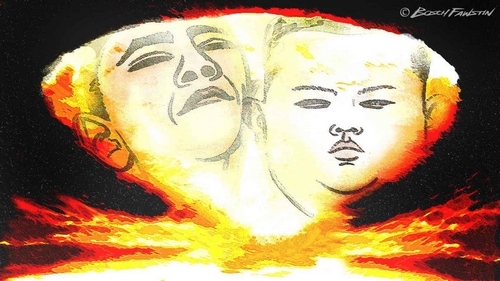 The U.S. government must not ignore the EMP threat anymore. The President and Congress have stated their desire to pass an infrastructure bill. The most important aspect of the infrastructure bill must be the electric grid. Tags: Americans for Limited Government,Printus LeBlanc, EMP, 200 Million Americans, Could Be Dead, Missle, 33 Minutes to Impact To share or post to your site, click on "Post Link". Please mention / link to the ARRA News Service and "Like" Facebook Page - Thanks! NumbersUSA: A new report from the Department of Homeland Security Inspector General found that ICE deportation officers are so overloaded that they lose track of aliens that have been released pending their deportation, including some posing national security risks. Under the Obama Administration, deportation officers based in Washington, D.C., handled more than 10,000 released deportable aliens per person on average, while those in Atlanta averaged more than 5,000 released to the streets. Due to caseload and lack of direction, “ICE is almost certainly not deporting all the aliens who could be deported and will likely not be able to keep up with growing numbers of deportable aliens,” the report said. A 2001 Supreme Court decision limits the length of time that ICE can detain aliens who are subject to a deportation order but cannot be deported. These aliens are released but assigned to officers who are supposed to monitor their whereabouts. Should deportation become feasible – for example, if an intransigent country accepts their repatriation – the officer is responsible for taking the alien into custody pending deportation. Other ICE officers oversee aliens held in detention and those released temporarily for a hearing in immigration court but their effort is much less complicated than monitoring released aliens. The officers’ caseload increased with the surge of Central American minors and family units over the last several years. In fiscal year 2014, the Border Patrol apprehended nearly 500,000 alien along the southwest border. The increase translated into more aliens that ICE must detain, deport, and supervise, the report said. The Obama Administration decided to move ICE officers to the border to help with the surge, which further overloaded interior deportation offices. The IG found that the caseloads of deportation officers (DOs) supervising released aliens were much larger than those of officers working with detained aliens. On average, those working with non-detained cases were responsible for between 1,700 and 10,000 aliens per DO, compared to averages ranging from 65 to 110 aliens for those working on detainee cases. Irrespective of the numbers, the workloads should have been reversed under an effective deportation strategy given the complexities facing non-detainee officers. ICE accepted all IG recommendations for improvement, including adjusting its caseload, providing more guidance to officers, and finding better ways to force intransigent countries to repatriate their citizens. The latter point was an element in the President’s executive order earlier this year and some progress has been made with certain countries since then. Tags: DHS, Department of Homeland Security, IG Report, Inspector General, Deporatation Officers, can’t keep up, leaves risky illegals, on the streets To share or post to your site, click on "Post Link". Please mention / link to the ARRA News Service and "Like" Facebook Page - Thanks! by Gary Bauer, Contributing Author: O'Reilly Out - Fox News announced yesterday that Bill O'Reilly would not be returning to his hugely popular show, "The O'Reilly Factor." The announcement came in the wake of sexual harassment allegations. I have no idea if the allegations are true. O'Reilly denies them, calling the charges "completely unfounded claims." But don't miss the bigger picture. The same radical left that is at war with conservatives on university campuses and with the Trump Administration has been at war with Fox News since it first emerged on the cable scene. Barack Obama repeatedly went after Fox News, the only viable conservative alternative to the left's monopoly on the network news media. Last year, Roger Ailes was forced out. Now Bill O'Reilly, the most watched cable TV personality in history, is out. We should not ignore the larger ideological struggle taking place. Let me be clear: I am not an O'Reilly fan. He wrote a book alleging that President Ronald Reagan was mentally impaired, which was not true. That aside, there is no doubt that the left is trying to destroy Fox News. The O'Reilly controversy started with an investigative report in the New York Times. In short order, left-wing groups like Media Matters and Color of Change started harassing the companies that advertised on "The O'Reilly Factor." Dozens of companies quickly caved to the pressure, costing the network tens of millions of dollars. Knowing how the left-wing smear machine works, Tucker Carlson and Sean Hannity had better look out. The long knives are out for them now. Left-wing Fascism At Berkeley - For the third time in as many months, the University of California, Berkeley, has banned a leading conservative from speaking on campus. The latest victim of the radical left's fascism is author and commentator Ann Coulter. In a statement announcing the cancellation of Coulter's April 27th appearance, Berkeley administrators declared, "Given currently active security threats, it is not possible to assure that the event could be held successfully -- or that the safety of Ms. Coulter, the event sponsors, audience, and bystanders could be adequately protected -- at any of the campus venues." Initially, Berkeley made several absurd demands. For example, the university demanded that Coulter speak only during the day -- when students are in class. She agreed. Then Berkeley demanded that the event be closed to the public and that only students could attend. Coulter agreed. Then Berkeley said that the location could not be announced until right before the event was set to begin. In other words, Berkeley did its best to ensure that virtually no one would be able to attend her speech. But Coulter accepted all these conditions. She asked in return only that the rioters be prosecuted and that students who engaged in violence be expelled. Well, that was too much for Berkeley. Rather than defend free speech and uphold the rule of law, Berkeley cancelled Coulter's appearance. Berkeley is a sad example of how our institutions of higher learning are becoming "Constitution/Conservative Free Zones," where the First Amendment's freedom of speech does not apply to conservatives. Coulter, however, is unbowed. "They can't stop me. I'm an American," she said. "I have constitutional rights. . . The speech will go on." I am glad Coulter isn't backing down. The left's fascist tactics and its totalitarian tendencies must be exposed and resisted. Public institutions that refuse to guarantee First Amendment freedoms and fail to enforce public safety should lose access to public dollars. Another Trump Justice? At an event in Iowa this week, Senator Charles Grassley, chairman of the Senate Judiciary Committee, was asked about the possibility of another vacancy opening up on the Supreme Court in the near future. Grassley answered, "I would expect a resignation this summer." He declined to offer any names as to which justice might step down. However, Grassley is now the second Republican senator to suggest another Supreme Court confirmation battle may be imminent. Senator Ted Cruz made a similar prediction earlier this year. Cruz warned then that given the way Democrats were acting over Neil Gorsuch, "they will go full Armageddon meltdown" if Trump has the chance to appoint a second justice. Most of the speculation focuses on Justice Anthony Kennedy, who turns 81 in July. And I hope the rumors are true. Replacing Kennedy, who has been terrible on values issues, with a solid conservative would be a big improvement. Meanwhile, the Supreme Court heard arguments yesterday in a significant religious liberty case from Missouri. The issue at stake is whether religious schools can participate in ANY state-funded programs. In this case, safety improvements on school playgrounds. During yesterday's hearing, a majority of justices seemed sympathetic to the religious schools. The court's decision could have a major impact on education reform. The vast majority of states have laws similar to Missouri's, which prohibit even "indirect" public funding to churches. Such laws have been used as a justification to deny vouchers or tax credits to faith-based private schools. This is why your support for CWF is so important. Control of the courts will be a major issue in upcoming Senate contests. Tags: Gary Bauer, Campaign for Working Families, O'Reilly Out, Fascism At Berkeley, Another Trump Justice To share or post to your site, click on "Post Link". Please mention / link to the ARRA News Service and "Like" Facebook Page - Thanks! Tags: Kevin Jackson, Fox News, video, Black shooter, murdering white people, legacy of Obama, PJ Media To share or post to your site, click on "Post Link". Please mention / link to the ARRA News Service and "Like" Facebook Page - Thanks!